Experience museum grade printing with our new Fine Art Album. Our acid-free fine art papers feature true matte finishes and soft textures that will last a lifetime. Complement your Fine Art Albums with our Luxe Leather or Luxe Linen cover materials. This alpha-cellulose paper is our standard fine art option. Giclée Matte is lightweight and mounted for stability. Acid-free and lignin-free. Hahnemühle has been making the world’s finest papers for centuries. This 100% cotton rag paper features a bright white base for clean looking spreads. Acid-free and lignin-free. A 100% cotton rag paper with a natural white tone. Perfect for a timeless album with a museum feel. Acid-free and lignin-free. Introducing 9 soft colors to compliment your finest work. Our new premium linens are woven in the European countryside. Add foil debossing to your Luxe Linen album for a fine-art finish. Create an elegant heirloom album with one of our luxe linens or Japanese silks. Choose from a premium selection of rich colors and textures. Our Hardcover Book is printed on a luxurious press paper with a true matte finish. The soft pages create an experience fit for fine art photography. Covers are handcrafted from fine European linens and Japanese silks. Alternatively, choose a Softcover Book featuring a custom photo cover. 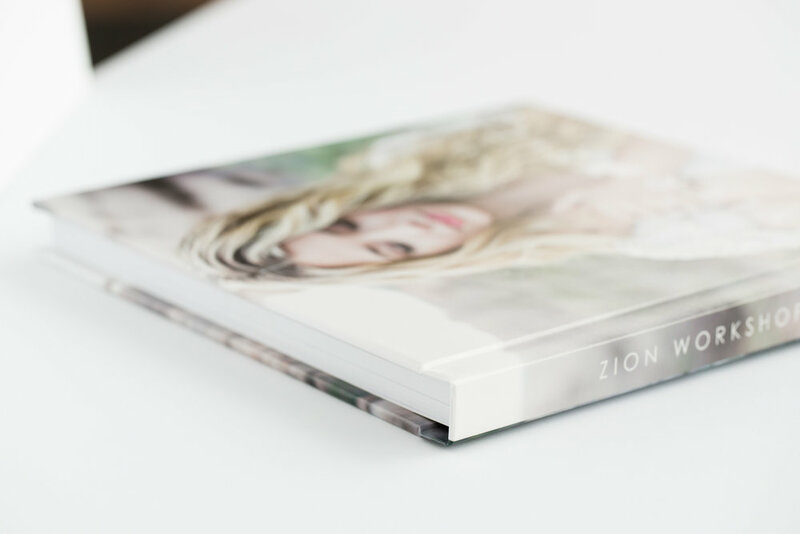 Softcover Books are printed on our eggshell matte press paper along with a custom photo cover. These affordable products make great gifts, portfolio pieces, portrait up-sells, and more. Our Hardcover Books endure the same love and attention to detail seen in our Albums. Choose one of our Luxe Linen covers for a beautiful fine art heirloom that will last for generations. Our Fabric Album Box provides a beautiful heirloom storage solution for our linen and silk flushmount albums. Our boxes are custom made to perfectly fit your fabric album. Debossing options are available for further personalization. Our handcrafted Walnut Album Box features dovetail joints and your choice of three stains. Our woodworkers mill each piece of wood in a multi-day process, allowing time for acclimation and refining. Custom lid engraving is included. Our Bamboo Album Box features California bamboo and provides an economic solution for archival album storage. Compliment your 4×6 print sets with our Bamboo Proof Box. Personalize the lid with custom laser engraving. Our Matted Folios and Folio Albums are handcrafted from archival mat board and covered with fine linens and silks. Have us finish the prints in-house or stock up on empty folios so you can slide in prints on your own. Matted Folio Albums are handmade with archival mat board and hold 6 to 14 prints. Choose Do-It-Yourself printing or have us Print and Assemble the folio album in-house. Matted Folios hold 2, 3, or 4 prints in archival rag mat board. These simple heirlooms are perfect for portraits, weddings, gifts, and quick up-sells. Available in several common print sizes. Our Matted Print Box is handcrafted using premium linens and silks. The box includes 6 to 30 museum-grade archival matted prints made with Ragmat 4ply matboard. Mats can be stored in the heirloom box or removed and framed for the wall. Matted Prints are also available.